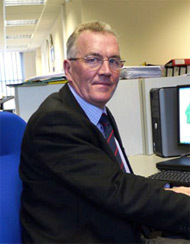 Roger joined WH Allen in 1975 as a Commercial Apprentice. 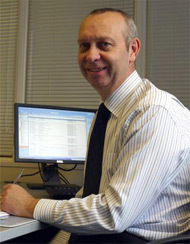 Upon completion Roger joined the Aftermarket Division as a Spares engineer processing spare parts enquiries and orders. Since then he has worked in a variety of roles within the Customer Services department of WH Allen / NEI Allen / Rolls-Royce covering Steam Turbines, Pumps and Diesel engines. These have necessitated extensive international travel in order to negotiate key account contracts. In his current role of Operations Manager at Allen Diesels, Roger ensures that the Company performs in an efficient, co-ordinated manner to the highest possible standards. David started working at WH Allen in 1974 as a Technical Apprentice, following the completion of this he studied for a Degree in Mechanical Engineering in Portsmouth which he gained with honours. David has been responsible for much of the design work on the current range of Allen engines. He attained Fellowship of the Institute of Mechanical Engineers in 2009 and currently heads the Engineering team within Allen Diesels. 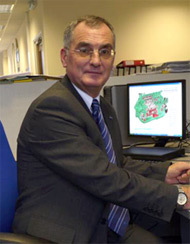 David is responsible for the ‘In House’ analysis of torsional vibration, application engineering of engines into new installations, as well as the design of engine upgrades and retrofits. Philip joined WH Allen in 1968 as an apprentice, since that time he has worked predominantly with the engine section of the business. 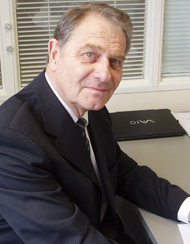 He was responsible for the building of many of the company’s machines from the mid 1970’s and responsible for the testing of the engines and auxiliaries from 1988 to the mid nineties as the chief assembly and test engineer. Since this time Philip has been assisting our customers and supporting the Allen product as a Senior Customer Support engineer and has been the Technical Support Manager since 2008. Joined WH Allen in 1977 as a Coppersmith and worked on the company’s range of Diesel Engines, Steam Turbines and Pumps until 1990 when he transferred to a commercial position in the Spares Department as a Spares Engineer. He stayed in the Spares Dept until moving to Field Services as a Project Engineer. 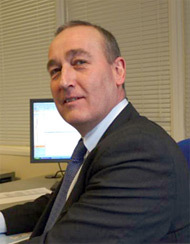 In 1996 he returned to the Spares Dept and was soon promoted to Senior Account Manager, soon after as Office Manager and now as Spares Manager. Geoff commenced his working life as a student apprentice with Paxman Diesels Ltd following which he developed his commercial skills in purchasing and technical sales. Following a 3 year appointment as an Engineer Officer in the merchant navy he joined WH Allen in 1977 as a Senior Contracts Engineer. Geoff was then seconded as a consultant to the Saudi Arabian Electricity Authority and then located to Australia for the Sale & Project Management of a large power plant for a nickel mine in Western Australia. Geoff remained with Allen Diesels under the various names of APE, NEI-Allen and Rolls-Royce in the capacities of Diesel Sales and Project Management and Export Sales Manager for Customer Service. Following a short break where Geoff worked as a Senior Project Manager for ABB Process Automation Systems, Geoff is now re-united with Allen Diesels in the capacity of Sales Manager covering the worldwide sale of new builds, long term maintenance agreements, parts and service contracts. .